Before getting to the nitty gritty of this blog, I’ll start by pointing out that I’m not about to write about Blink 182’s 2000 hit (sorry if you thought that – I like it too, but it’s just the starting point). Anyway, the track was written by guitarist Tom DeLonge as an ode to his girlfriend and the lyrics “she left me roses by the stairs, surprises let me know she cares” describe a time when he returned home late from a recording session to find a bunch of roses. It’s this kind of thing that is the real topic of this blog. I’m a firm believer that in any relationship, it’s the small surprises that have the biggest impact. It’s those little things that will influence how you thing about a person or indeed how you perceive a brand. Whatever you choose to call them, they all have the same impact. They are the kinds of things that you might come across every day, and can be both positive and negative. Now to some of you this might be insignificant, but it irks me every time. 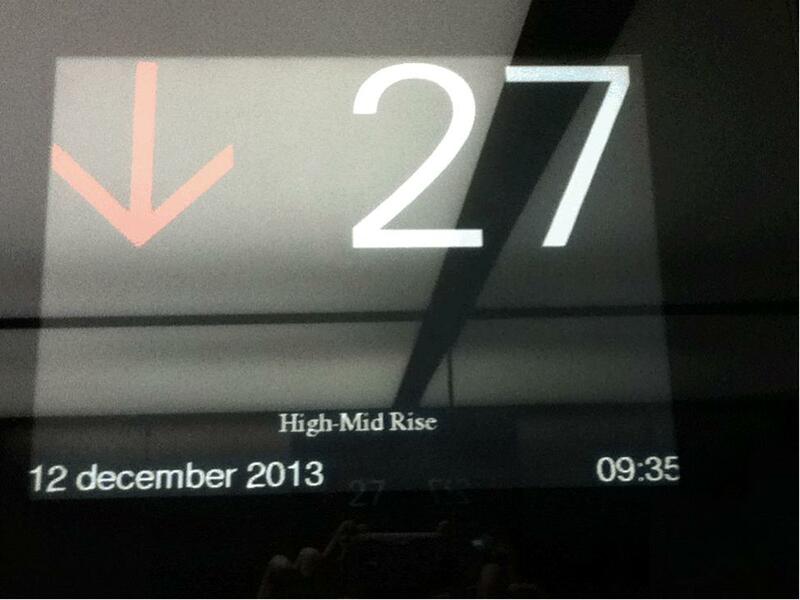 If you still haven’t spotted it, it’s the fact that the month does not start with a capital letter – and if that’s not enough, they also capitalize in the middle of a hyphenated word [‘High-Mid rise’ should read ‘High-mid rise’]. This probably tells you more about me – detail is EVERYTHING! Someone, somewhere has decided that this is OK. To me it’s as bad as someone stopping and standing still when they get off an escalator – despite there being more people behind trying to get off said escalator. Or when you are walking along a street behind someone and they suddenly stop for no apparent reason, causing you to take evasive action. I’m sure you can all think of something along these lines. So when we do come across things that could easily be fixed by someone – a brand/company – how does that make us feel? Does it make us think twice about using them or does it take something bigger? Now let’s flip the coin and look at some positives. It’s fair to say that I’m a pretty regular traveller, and this means making use of hotels, trains, planes etc. On these travels I’ve come across a few great examples of little things that have a big impact (at least for me). 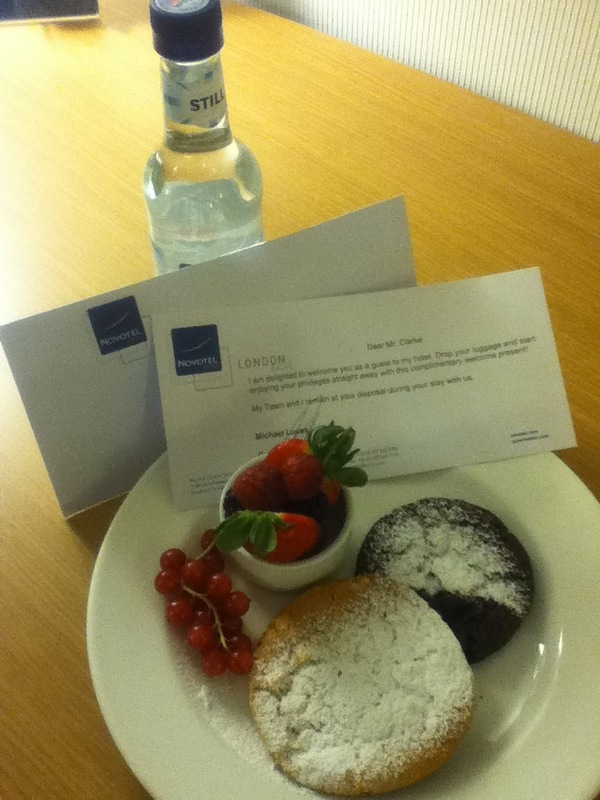 It’s not very often I stay in this hotel chain (in fact until recently I hadn’t!) – mainly because the other options available tend to have a better location. So I was pleasantly surprised that soon after I booked to stay at their hotel in Edinburgh Park, I received an email giving details of how to find them, transport links, checking in etc. 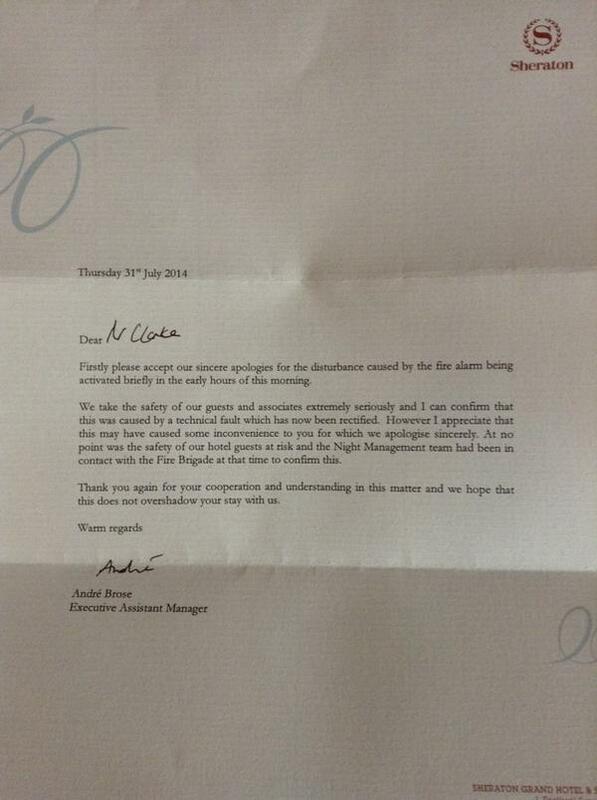 This doesn’t particularly sound ground breaking, but in 4 years of regular travelling no other hotel has done this. I’m guessing that the other hotels just assume that you’ve done the research when making the booking. This is pretty much my hotel of choice when in London, mainly due to its relatively close proximity to Canary Wharf and the fact they also run a shuttle service to/from there. Not too often that I begin to expect it, but often enough for it to be most welcome at the end of an early start day. As you’d expect for this hotel chain the service is really good, but that’s not why I include them here. One night (I say night, it was actually 4am!) their fire alarms went off. After a short period of me wondering why my alarm clock was so loud, and then realising it was indeed a fire alarm, the alarm stopped – but long enough for me to be then wide awake trying to get back to sleep. Unexpected, but a very nice touch. It’s these kind of little moments, when someone goes the extra mile (or inch given that we are talking about small things) that for me make a big difference; and for no other particular reason other than they feel compelled to do so. On their own they do not seem really particular important. The key is that these businesses seem to know what’s important to their customers, and that’s why they do it. So next time you’re wondering whether to do something or not, and people are saying “what’s the point”. Check to see if it fits the bill against these; if it does it might just make one of your customer’s day. Next Next post: Are you a Measurebator? How do you treat your customers?